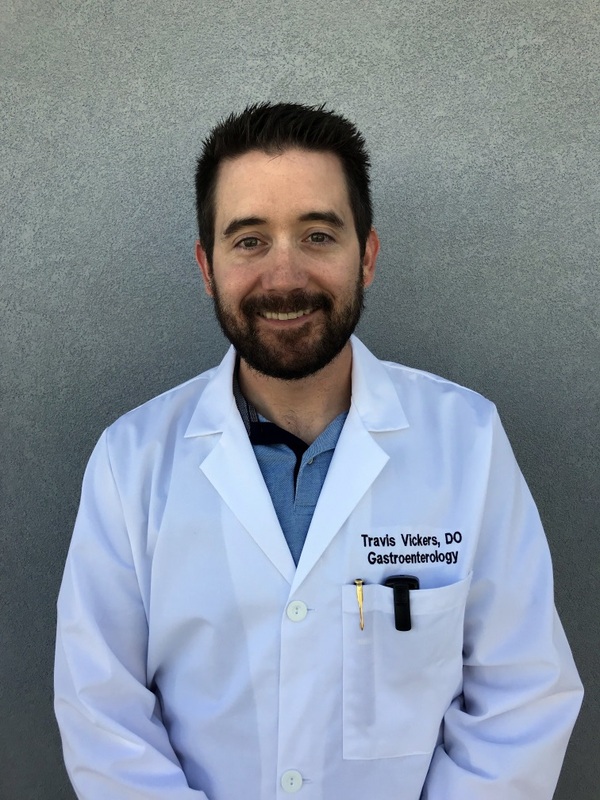 Dr. Travis Vickers was born and raised in Southern California, in the city of Camarillo. He completed his undergraduate degree in Integrative Physiology at the University of Boulder, Colorado. Prior to attending medical school, Dr. Vickers worked as an EMT for the city of Santa Monica, CA. It was there that he realized he wanted to become a physician. He then went on to obtain his medical degree at Touro University of California, College of Osteopathic Medicine, in the Bay Area. Dr. Vickers subsequently moved to Las Vegas in 2012 for his internship and residency training in Internal Medicine at Valley Hospital Medical Center. Afterwards, he went on to complete his fellowship training in Gastroenterology at the same hospital. He joined Gastroenterology Associates in 2018. Dr. Vickers is passionate about Gastroenterology and is honored to have joined Gastroenterology Associates. His personal mission is to provide the best care possible to his patients. He believes that providing patients with ample time and undivided attention is the key to good medical care. He always aims to ensure his patient and their families are well-informed and educated about their disease process and the choices of treatment. Dr. Vickers is married to a local neuro-ophthalmologist and has two young daughters. During his time off, he enjoys fishing, golfing, reading, snowboarding and scuba diving.